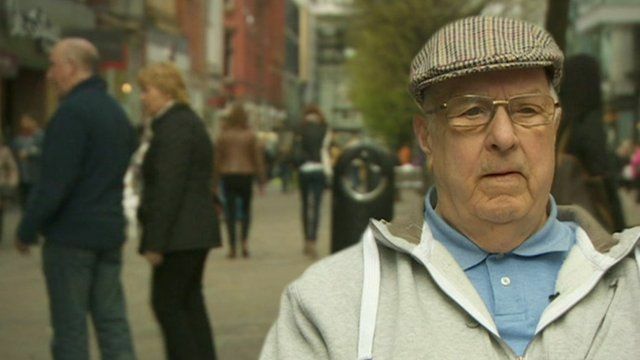 Manchester is 'age-friendly' city Jump to media player Manchester is the UK's first city to be recognised as age-friendly by the World Health Organisation. What is a hospital's core business? Jump to media player The authors of a new report say hospitals are need to reorganise to cater for an ageing population. Elderly demands exceed family help Jump to media player The number of older people in England needing care at home will soon outstrip the number of family members able to provide it, according to an influential think tank. The growth of gay retirement homes Jump to media player As gay rights advance across the US, the elderly feel they have been neglected. But a series of retirement housing projects for the gay community may be a signal of change. A look ahead to an ageing population Jump to media player Perceptions of the elderly vary widely around the world, according to a new report by the Pew Research Center. Battle to save day centre from cuts Jump to media player As council spending cuts across Wales begin to bite Week in Week Out has been following the story of 85-year-old Eira and her battle to save her local day centre in Ynyshir in the Rhondda Valleys. Anti-ageing 'light-bulb moment' Jump to media player Newcastle University researchers are working on a new product they believe may halt the process of skin ageing. No public toilets, not enough benches - for many older people towns and cities have become no-go areas. But with the number of over 65-year-olds expected to double in the next 30 years - how do you make places more accessible to older people? Graham Satchell has been finding out in Manchester, the UK's first city to be recognised as age-friendly by the World Health Organisation. Go to next video: What is a hospital's core business?